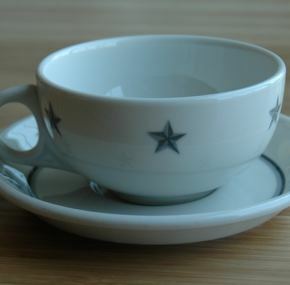 The famous grey star pattern as used on the super liner United States. 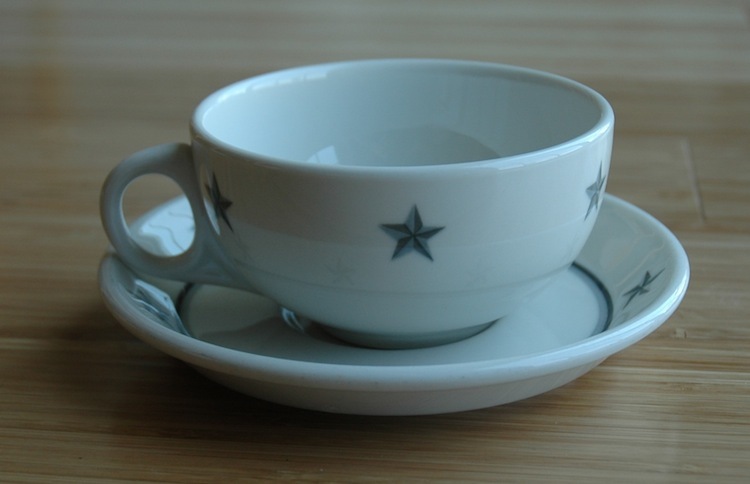 You all know I love a cup and saucer, partly because they display so well. 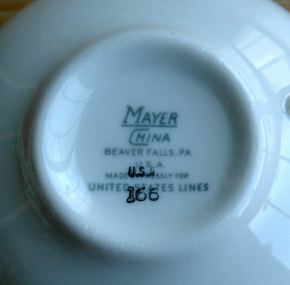 In this case, though, ss United States china is even more handy as it was designed to be dish washed in scalding hot salt water. Your average home dishwasher cannot do any harm to it. 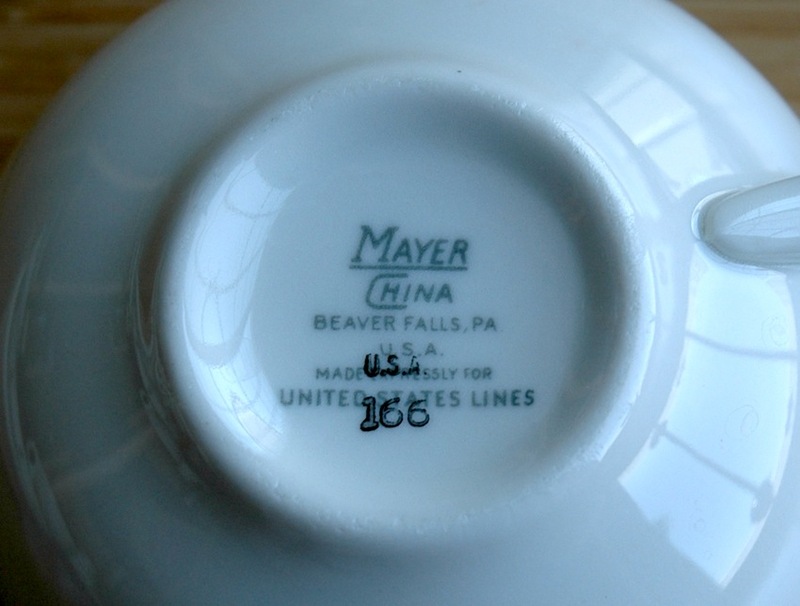 You can use this china daily for decades, and it will still be lovely. No chips, cracks, or crazing. Comes from the Dr. Sarah Forbes Collection.